Klarabergsgatan is a street in central Stockholm that runs from Klarabergsviadukten in the west to Sergels torg in the east. 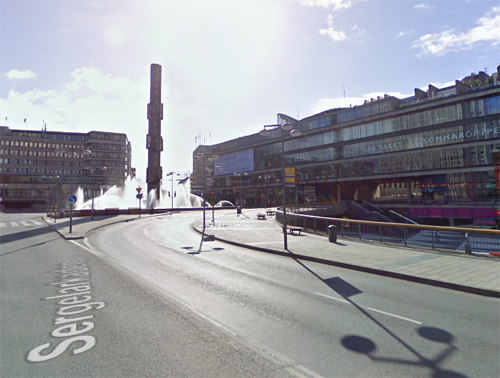 Sergels torg (“Sergel’s Square”) is the most central public square in Stockholm, Sweden, named after 18th-century sculptor Johan Tobias Sergel, whose workshop was once located north of the square. 1. A sunken pedestrian plaza furnished with a triangular-colored floor pattern (colloquially referred to as Plattan, “The Slab”) and a wide flight of stairs leading up to the pedestrian street Drottninggatan, connecting south to Stockholm Old Town and north to Kungsgatan. 2. This plaza is partly overbuilt by a roundabout centered on a glass obelisk and by the concrete decks of three major streets. 3. 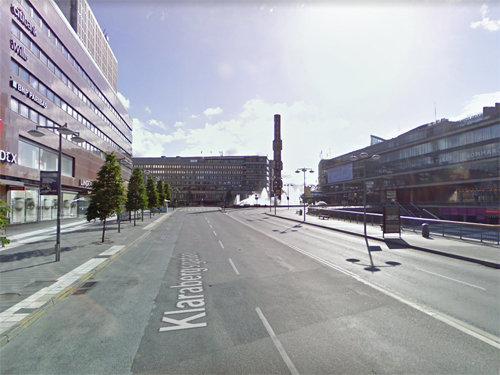 North of this traffic junction is a considerably smaller open space overlooked by the high-rise fasade of the fifth Hötorget Building from where the avenue Sveavägen extends north. 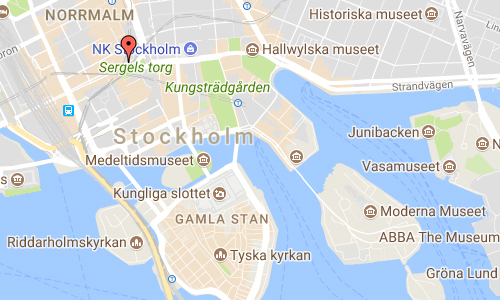 The site south of the square is taken up by the cultural center Kulturhuset, which also houses the Stockholm City Theater and hides the Riksbanken (Bank of Sweden) headquarters facing the square Brunkebergstorg behind. Klarabergsgatan leads west past the department store Åhléns City and Klara Church to Klarabergsviadukten and Kungsholmen. Hamngatan leads east under Malmskillnadsgatan to Kungsträdgården, Norrmalmstorg, and Strandvägen. Together with the underground mall east of the pedestrian plaza and the T-Centralen metro station and other continuous underpasses west thereof, Sergels torg forms part of a continuous underground structure almost a kilometer in length. 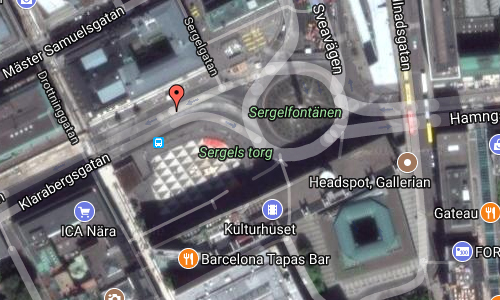 Since its creation, Sergels torg has been much criticized for giving priority to cars at the cost of pedestrians. It has, among some quarters, become the main target for criticism of the much debated demolition of the central city district of Klara during the 1950s and 1960s. 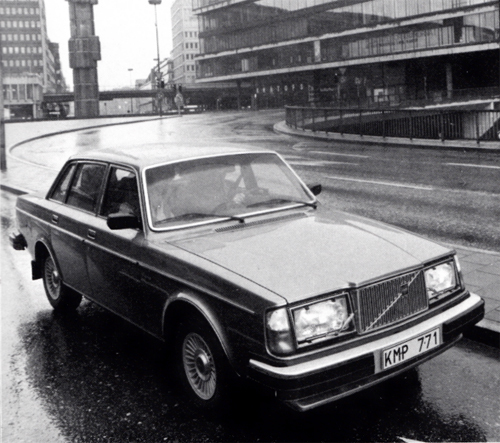 Nevertheless, it is not dissimilar to but larger than the public space in front of Centre Georges Pompidou in Paris and much like its French counterpart remains the most popular space in Stockholm for meeting friends, for political demonstrations, for a wide range of events, and for drug-dealers. This includes the fountain, in which people celebrate every major victory by a Swedish sports team. More information at en.wikipedia.org and stockholmskallan.stockholm.se.